Is There a Link Between Chronic Pancreatitis and Pancreatic Cancer? There are difficulties in studying etiologic factors of pancreatic cancer. Considering the short survival time of the patients after the initial diagnosis, the population-based studies have been based to some extent on proxy interviews. For this reason, most published studies of pancreatic cancer have been small, based on 100 or less cases, and the available data are conflicting. Considering the published reports, almost everybody seems to be at risk for pancreatic cancer, including those who consume margarine on a slice of bread  or a large amount of pasta , beauticians and those who use professional makeup, such as actors , and those who live at certain geographical latitudes , consume sugar, eggs, milk, and diary products or undergo a tonsillectomy or spontaneous abortion , just to name a few. Chronic pancreatitis also has been mentioned among these risk factors. 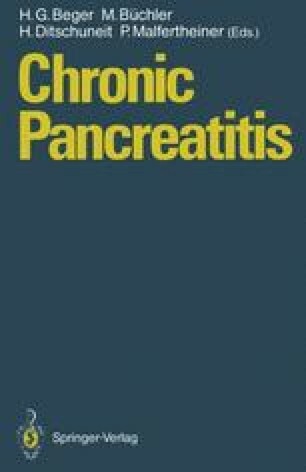 The purpose of this report is to focus on whether there is any link between chronic pancreatitis and pancreatic cancer based on review of the epidemiologic data and clinical and experimental experiences.